Dr. Gassler is board certified in Internal Medicine, Cardiovascular Disease and Interventional Cardiology. 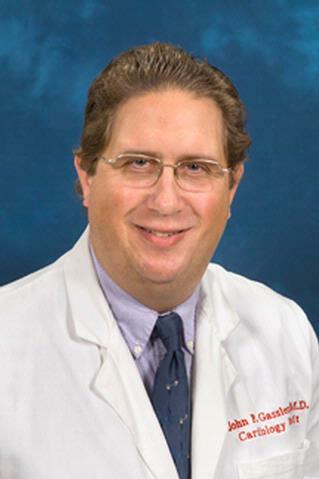 Dr. Gassler graduated from State University of New York at Stony Brook, and received his MD from Mount Sinai School of Medicine. He completed his internal medicine residency at Duke University Medical Center, and his cardiology fellowship at the Cleveland Clinic Foundation. He completed an interventional fellowship here at the University of Rochester Medical Center and joined the faculty in 2002. Obenza Nishime E, Liu LC, Coulter TD, Gassler JP, Dinner DS, Mills RM. "Heart failure and sleep-related breathing disorders." Cardiology in review.. 2000 8(4):191-201. Gassler JP;Topol EJ. "Beyond TIMI 3 Flow". Clinical Cardiology 1999. 1999; 22(Suppl. IV): IV20-IV29. Francis GS; Gassler JP. "On the interaction between grapefruit juice and cardiovascular medications (editorial)." Cardiovascular Reviews and Reports. 1999; 20: 408-409.